Un appartement spacieux et lumineux au cœur de la vieille ville de Marblehead. L'appartement est le troisième étage de l'un des plus anciens bâtiments de la ville, un ancien bâtiment de style colonial construit en 1713. Il y a une grande chambre, une salle à manger, une cuisine complète, un salon ouvert avec des canapés et des chaises et une salle de bain complète. Parking pour une voiture est fourni. Descendez l'escalier en colimaçon et vous êtes dans la vieille ville, à deux pas des cafés, des restaurants, des magasins, du port, des sites historiques et des attractions touristiques. Il y a trois grandes plages toutes à 10 minutes à pied. Aussi disponible en deux chambres en été. Veuillez vous renseigner. Loved the apartment. Everything was exactly as described. The location was perfect for walking to the heart of Marblehead. We used it as our base of operations for business south of Marblehead and a day of sightseeing up the coast from Marblehead. Very good value for the money. Charming, old, funky, eclectic and comfortable! We would defiantly return. Prepare to find yourself utterly charmed by this beautiful and spacious apartment, which is centrally located in the historic section of Marblehead. Everything in the apartment is clean and wonderfully appointed, from the king sized bed to the impressively strong shower, and you are steps from all of the great shops and stores of Marblehead. When we visit this area again, we will absolutely make staying in this apartment our top priority. Our family had a truly superb time staying here. 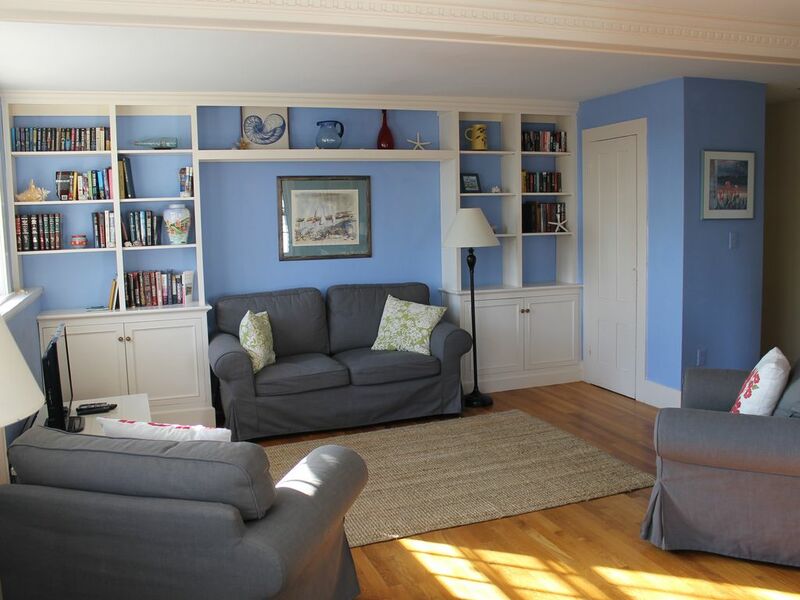 Wonderful apartment in historic downtown Marblehead; walk everywhere! We had a wonderful stay at Matt Williamson's downtown Marblehead apartment. The home is very well appointed, sunny and really comfortable. It's an easy walk to restaurants, shops and beautiful Marblehead Harbor. Matt is a wonderful host, and very helpful. We look forward to returning. We loved staying in this little apartment. It was wonderfully easy to check into the house. The hosts were great. The kitchen was extremely well stocked and this was, without a doubt, the most comfortable bed I've ever slept on. Loved the space! Great location! Very comfortable. My 6'4" husband with size 15 feet had a hard time negotiating the antique spiral staircase.